Nirvana Needle Arts offers single point needles in Ebony, Mango, Bamboo and Birch (sizes 35 and 50US). 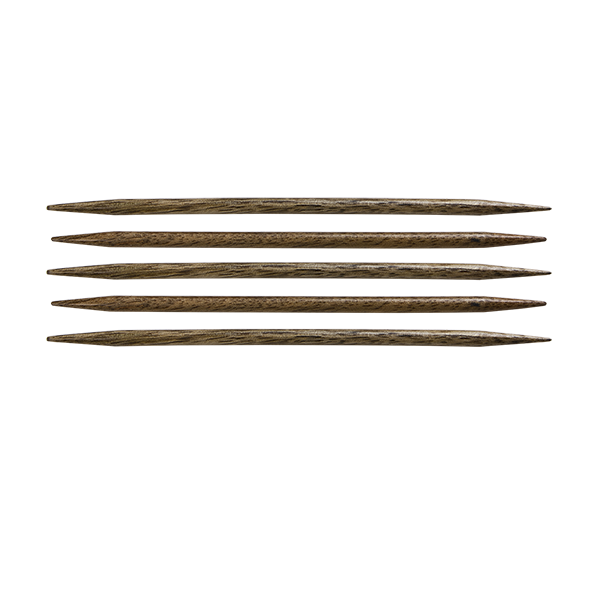 Sizes ranges vary but generally include sizes from 1US/2.25mm through 17US/12mm and lengths vary from 6 inches to 10 inches in length based on size and style. 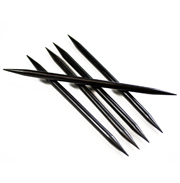 Ebony double point needles are available in size 1 US/2.25mm through size 17 US/12mm. A hallmark of Nirvana Needle Arts is the stiletto like tips! 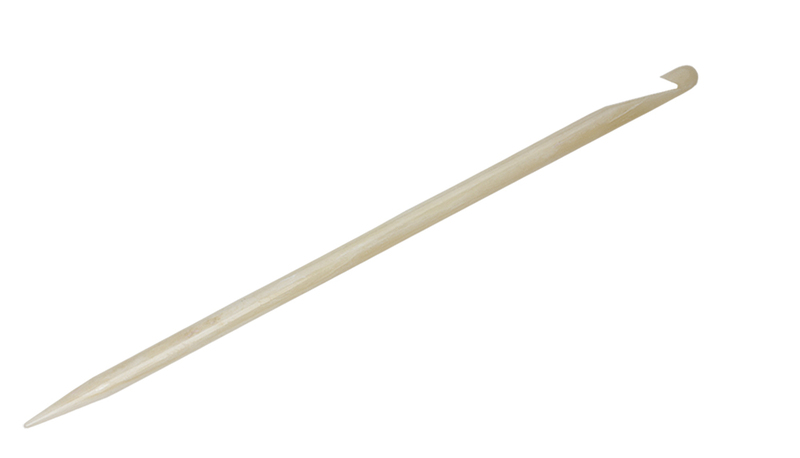 Our Mango Knitting Needles have an amazing wood grain. Mango is such a light weight wood you will find it to be a pleasure to knit with, especially if you enjoy sharp tips and narrow finials. 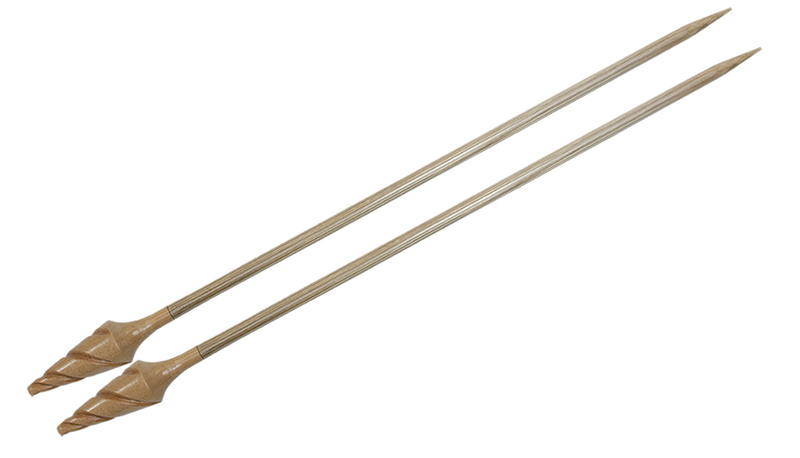 Nirvana Mango needles are available in double point and single point styles. 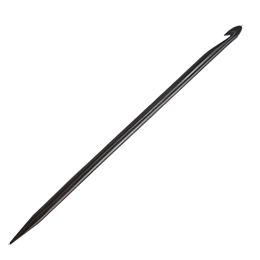 Mango double point needles are available in size 1 US/2.25mm through size 17 US/12mm; mango single point needles are available in 10″ lengths and in sizes 3US/3.25mm through 15 US/10mm. 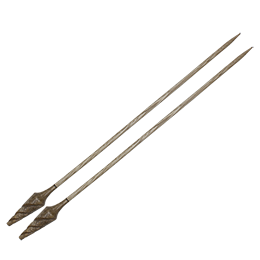 Our decorative finials add a unique depth to the needle design yet they are extremely light in weight. A hallmark of Nirvana Needle Arts is the stiletto like tips on all of our needles. You will find knitting with them a pleasure. 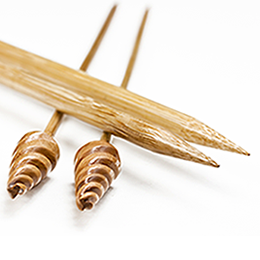 Nirvana Needle Arts also offers Bamboo Single Point Needles in sizes sizes 3US/3.25mm through 17 US/12mm. The length is 10 inches. Crochet Hook/Knitting Needles are available in both Ebony and Bone. These 6 inch tools are great for picking up and knitting a large quantity of stitches or capturing that wayward, escaped stitch. They are available in sizes 2.5 US/3mm, 6 US/4mm and 8 US/5mm. Visit www.knittingzone.com to view products in detail or to place an order.